Markdown is a standard markup language that provides text formatting from plain text input. It was designed to be easily converted into HTML, the language of the web. Stata now supports it. 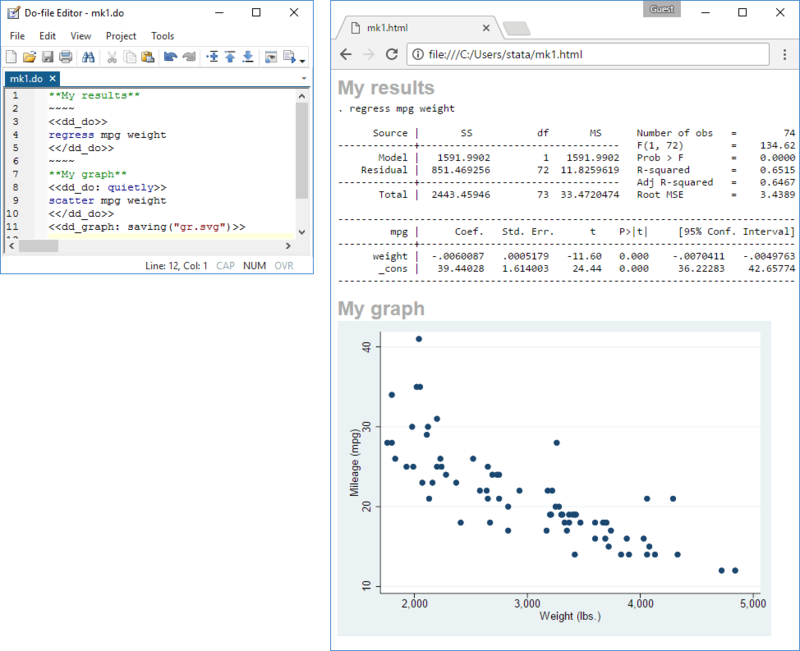 You can create HTML files from your Stata output, including graphs. You will start with a plain text file containing Markdown-formatted text and dynamic tags specifying instruction to Stata, such as run this regression or produce that graph. You then use the new dyndoc command to convert the file to HTML. Want to produce TeX documents? With the new dyntext command, you can produce any text-based document!